Meeting between Palestinian organizations, headed by Hamas, comes up with strategy for fight against Israel. The meeting focused on fighting Jewish communities in Judea and Samaria, the "Judaization" of Jerusalem, and plans that would permit Jewish prayer on the Temple Mount. 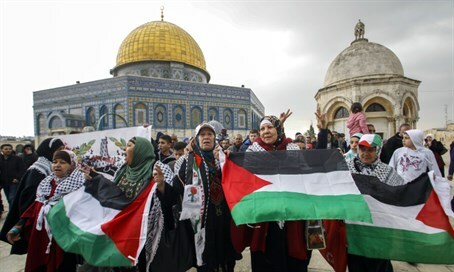 The representatives condemned Israeli "terror attacks" in Jerusalem and Judea-Samaria, particularly the recurring "invasions" of Jews onto the Temple Mount (which they claim is an attempt to make Jerusalem solely Jewish) and the arson attack in the village of Duma. In addition, the Palestinian groups warned against "The Zionist plan to cancel the Right of Return by expelling Palestinians from the camps and resettling them far from their homeland of Palestine."